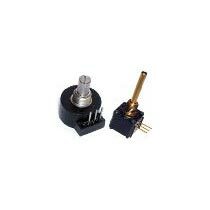 Rotary Encoder is made available by us in both mechanical and optical versions. It is perfect for potential applications requiring panel mounted and manually-operated rotary sensing. Moreover, Rotary Encoder is ideal for large bore and heavy duty applications. Explosion proof versions of Rotary Encoder are also available with us. It can be obtained from us in small as well as bulk quantities and at a very reasonable price.